A smear is obtained by gently scraping the outer part of the cervix which is nowadays dissolved in a preservative pot, where the cells are examined under a microscope for abnormalities. Cervical smears are only able to detect abnormal cells in about 50% of cases but can rule them out in 90% of cases. Abnormal smear results usually create anxiety in patients, so we offer same day appointments. Where results show mild, moderate or severe abnormalities, it does not mean that you have cancer. They only indicate pre-cancerous abnormalities, which if left untreated can progress to cancer. We believe that all abnormalities should be investigated by a colposcopy as soon as possible. 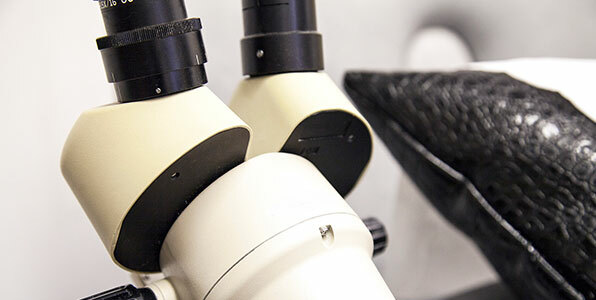 Colposcopy is an examination of the cervix by the microscope. It is a simple procedure which involves inserting a speculum for an internal examination. A diluted solution of 5% acetic acid is applied and the cervix is examined for white areas. It is usually associated with the discomfort encountered during a smear test and takes only 5 minutes to complete. A biopsy may be taken from these areas (slightly more painful) and sent for further testing in the Laboratory. Although the consultant will be able to give you some idea, however the final outcome can only be obtained after the biopsy results. Involves removing a small cone from the tip of the cervix by a hot wire loop. This may be done under local anaesthesia in the clinic or under general anethesia in the hospital. In either case there should be no pain during or after the procedure. It allows for removal of the abnormal area and histology so that we can ascertain the degree of abnormality. The cervix usually grows back to normal but slightly shorter within 6 weeks. You will require follow up after 6 months and once a year for life since a small percentage of women will have recurrence.